There are approximately 170 species of butterflies in Southern California. We are also lucky enough to live in a climate where we can watch and observe the Monarch Butterfly Migration Season. To our advantage, there are numerous parks, sanctuaries and nature playgrounds where the Monarch butterflies like to migrate to. Every year adult Monarch Butterflies make massive migrations from August – October, flying thousands of miles south to hibernate along the California coast and in central Mexico. In the wintertime in Southern California, butterflies like to roost in our trees and live in our open habitats including fields, meadows, weedy areas, marshes, and roadsides. Since there are several places to see Monarch Butterflies in Southern California between October – March, here is a list of 17 places to get you started! This butterfly exhibit is located inside the zoo with lush desert landscape. The 105 acres that make up the El Dorado Nature Center grounds provide sanctuary for local animals and plant life. During the winter months, you can view Monarch butterflies living in the center. The population of Monarchs here are most plentiful in November and December. The butterflies are located in the eucalyptus trees along the creek next to the campground. You can specifically see the Monarch butterflies at the Big Sycamore Canyon, which is an autumn site. Doheny State Beach is a great place to bring the family. Ask the rangers to direct you to the Monarch butterfly roosting trees. Small entrance fee. In the wintertime, you can see Monarch and Mourning Cloaks butterflies in the park. It also home to the Shipley Nature Center. The center offers field trips too through Inside The Outdoors. The eucalyptus grove at Norma Gibbs Park is a monarch overwintering site. The park has pathways, picnic tables, and a 400 sq. ft. tile inlay of monarchs and text describing the story about the migrating monarchs. During spring and summer, many other butterflies inhabite the park. They also have an educational program and offer group tours. Andrew Molera State Park is largest state park along the Big Sur coastline. Named after the man who brought the artichoke to California, Andrew Molera State Park also is the home of many historic structures, including the oldest building in Big Sur. Additional activities include visiting the discovery center, viewing butterflies, hiking, fishing, horseback riding and mountain biking trails. While Pacific Grove is known for its Monarch butterfly sanctuary, not many people realize that Point Lobos also provides an important wintering-over spot for these flying jewels. This sweet spot has also has hiking, tables, vistas and even an old whaler’s cabin. This sanctuary is free and visitors are invited to visit, watch, admire and take Monarch butterfly photos and videos, so long as they don’t touch. Monarchs stay in the Monarch butterfly grove from October until February, when they continue their migration south. Presidio Park is located on a hill above Old Town State Historic Park. 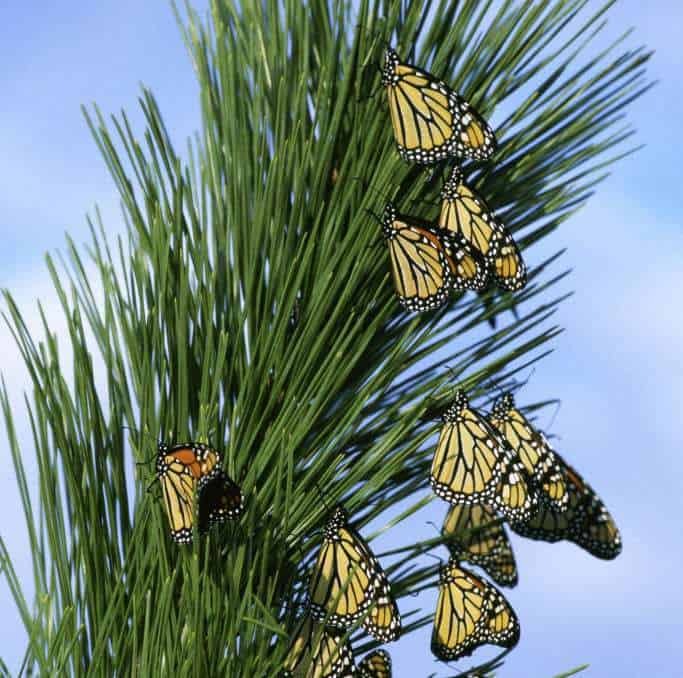 The Monarchs roost in the Canary Island Pine trees along each side of Cosoy Way. In November, the butterflies can be seen in the eucalyptus trees. According to their website, Monarchs are usually found in Goleta from mid-November through mid-February. Docents are available on weekends from 11am-2pm during these months. The grove is available for viewing every day during daylight hours and there is no admission fee. The Coronado Butterfly Preserve is a beautiful natural space open to the public every day of the year from sunrise to sunset. No reservations or admission fees are required. Monarch butterflies migrate to the adjacent Goleta Butterfly Grove for their over-wintering time, which is typically from November through February, with peak numbers usually visible in December and January. According to Lots of Fun Maps.com, the Ellwood Butterfly Preserve is located in a grove of blue gum eucalyptus trees between November and February. You can see thousands upon thousands of Monarch butterflies. Located along Hwy. 1, this site on the beach is great for family visits. The butterflies are active in the daytime during warm temperatures, and roost on palm and eucalyptus trees at night or during cold weather. 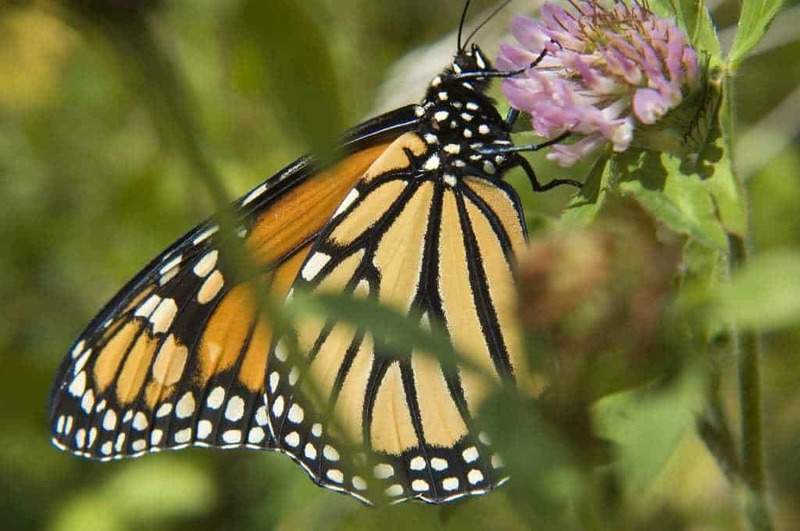 You can observe and take pictures of the beautiful Monarch butterflies in the park from mid November – March. This is a popular site for residents because it is easily accessible and a quiet place to take the family for a picnic. According to Yelp, this park is a great place to see overwintering Monarch butterflies. 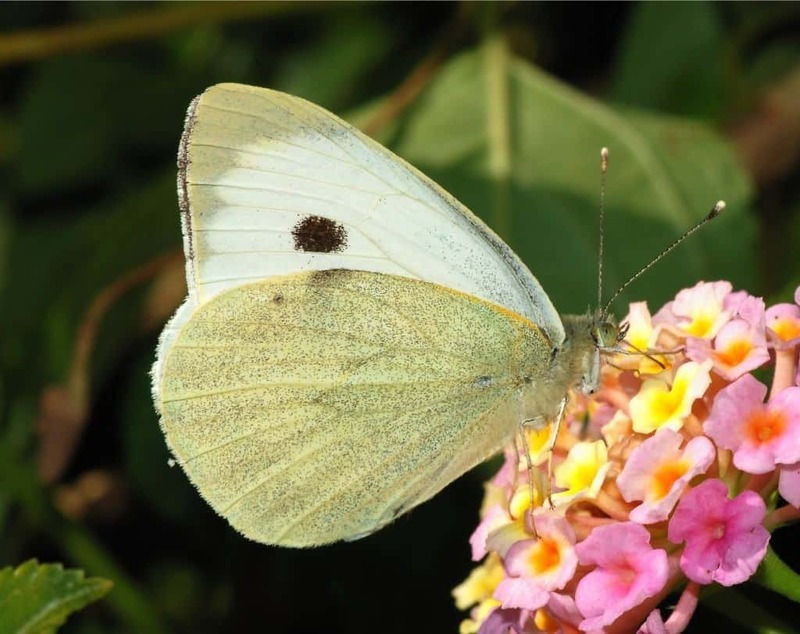 In order to maintain and increase the population of butterflies in Southern California, butterfly enthusiasts encourage local residents to find out what butterflies are native to their area and help those species by planting the correct host plants. Planting a butterfly garden filled with California natives and other butterfly attracting flora will not only benifit the butterflies that visit your garden, but will also provide food for birds, insects and other wildlife. Therefore, here is a list of 15 additional places where you can see butterflies in Southern California year round! The Butterfly Garden at UCR is roughly a 3,000-square-foot garden that features a walking surface of four pads, which represents the four stages of a butterfly’s life: the egg, the pupa, the chrysalis and the adult. The pads are large enough to accommodate school groups that visit the garden on field trips. The Butterfly Pavilion at Rancho Santa Ana Botanic Garden unites science education and hands-on fun for visitors of all ages. The pavilion opens in the late spring. This reserve has an estimated 125,000 butterflies taking flight each summer. It is adjacent to and maintained by LAX. There is a four-mile path that surrounds the perimeter of the preserve and is an excellent place to see the ocean and watch planes take off and land. The NHM has one of the largest seasonal butterfly pavilions in the southland and is open April – September. They have 20 species of California natives such as the Monarch, Mourning Cloak, and Buckeye and 10 species of subtropical varieties from south Florida and Texas, such as the Malachite and the Grey Cracker. This butterfly garden provides plants and trees that serve the needs of butterflies in the valley. The ENC has a small butterfly pavilion that is open May – August. Attend their Spring Faire & Butterfly House Opening in May every year. You will see free flying butterflies in this butterfly garden planted by volunteers. Summer is the best season to visit. Here you can view butterflies in their natural environment. In the summer time, the sanctuary offers a Butterfly Walk for adults and older children where you learn about the ten most common butterflies found in the sanctuary, sketch and examine them under a microscope and take a long walk around the ponds in search of living ones. Check out their field trip options too. Parking is free. Open April – October. Six butterfly species native to the Southern California region – California dogface, cloudless sulphur, anise swallowtail, gulf fritillary, mourning cloak and monarch – are the main attraction. Every very May the college also hosts the Water Conservation Garden Butterfly Festival. Butterfly Farms share their knowledge with in-depth educational tours of their vivarium and grounds. The Safari Park has a National Wildlife Federation-certified backyard habitat seasonal exotic butterfly exhibit. They offer school tours and have a unique butterfly nursery. The Alice Keck Park Memorial Gardens features a large botanical collection (75 different tree and plant species); koi pond; sensory garden with audio posts; low water-using demonstration garden; picnic areas; gazebo. The Master Gardener Program maintains the butterfly section of the garden. 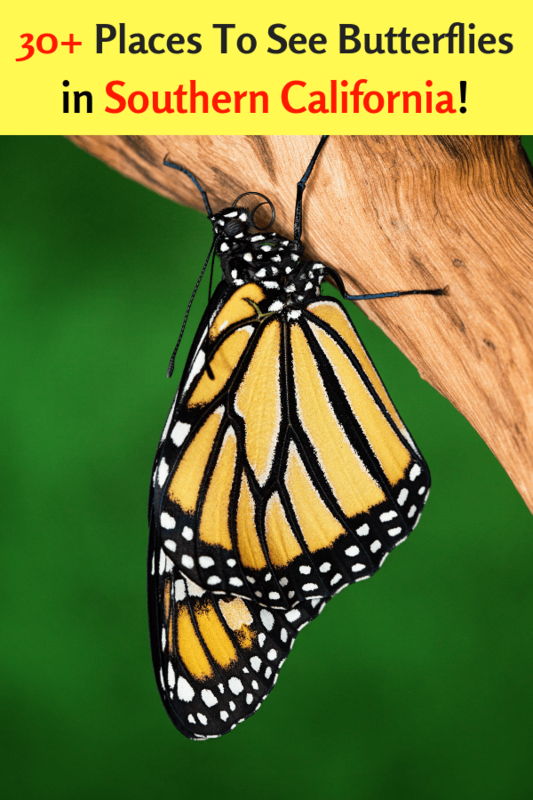 The Buena Vista Butterfly Foundation was created to relieve some of the financial burden that struggling families experience during the time of hospice. Every year they host an annual Butterfly Remembrance Ceremony at Triunfo Canyon Park in Thousand Oaks.